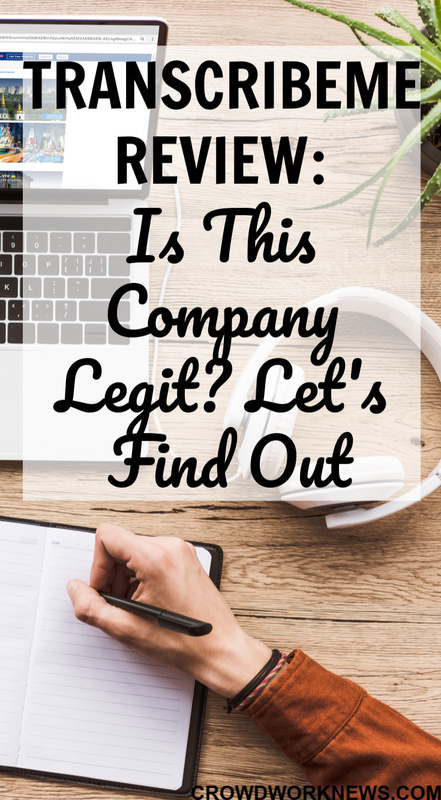 I review a lot of work from home companies and today, I am sharing TranscribeMe review to give you more information about this transcription company. You will agree with me when I say that transcription jobs are the best choice to work from home. If you are a beginner and want to start transcribing from home, then TranscribeMe is one of the best ways to get started. Whether you are looking to dip your feet into Transcription as a career or looking for something as a side hustle, getting started with TranscribeMe is perfect for any case. Before we get into this in-depth TranscribeMe Review, if you are too new to the Transcription career, then this short free course will help you to learn more about this career. This course will give you all the information you need to find out more about this work from home career. Do I need any experience to apply for TranscribeMe? That’s the best part about TranscribeMe. You don’t need any prior experience to apply for a transcriber role through this company. All you need is a good command over English (spelling and grammar) and high-level typing speed. It will also help if you are accustomed to different English accents as it can help you to get the work done quickly. What jobs does TranscribeMe offer? You can apply for general transcribing roles, and once you gain experience, you can become a QA, doing proofreading and editing responsibilities. With the transcriber role, once you are selected, you can access the ‘workhub’ and choose your projects. You have the flexibility to choose when and how much work you want to do. Once you register online, you will have to take a training course and an exam. After you pass the exam, TranscribeMe will give you paid work. Of what I have read, the test is quite challenging, and you have to do it in one go. Don’t worry even if you fail the exam; you will have three more attempts to retest. Be sure to go through their style guide before taking the test; it can be beneficial. The whole application process is relatively simple, and they accept applicants worldwide. What is the pay for transcribing with this company? The initial pay with TranscribeMe is per audio hour and starts at $15 per hour for general transcription projects. The pay is higher for different projects and further specializations. TranscribeMe sends payments weekly into PayPal, and the minimum payout is $20. What are the other TranscribeMe reviews? There are equally good and not-so-good reviews about this company. Glassdoor has a rating of 3.3 for this company. You can read more reviews about this company here. Here is some more information about working for TranscribeMe from WAHM. Most of the good reviews are about the ease to work as a global applicant and flexibility. Of course, the low pay and getting work on a need basis is the biggest pain point with the transcribers. Should you apply for a Transcriptionist job with TranscribeMe? You should if you are just stepping into Transcription world. This company is excellent for understanding the work and getting a base rate pay. TranscribeMe is also great for flexibility as it allows you to do work whenever you want. The fact that you don’t need to have any prior experience and have almost no need for any equipment are a couple of reasons to register for this company. You can also get support and feedback from your co-workers through the ‘Yammer’ channel. If you are someone who has some good experience in Transcription, then I would not recommend this company mostly because of the low pay. You surely can find better opportunities. But if this is the first time you are exploring transcription as a career from home, then TranscribeMe can be an excellent choice to start. To find more reliable and authentic work from home jobs, FlexJobs is your best bet. The jobs here are hand picked and screened to keep you away from any scams. Try it out and see for yourself! What are your experiences working for TranscribeMe? Please share in the comments.